Today I decided to make a card and let the Designer Paper do all the work. 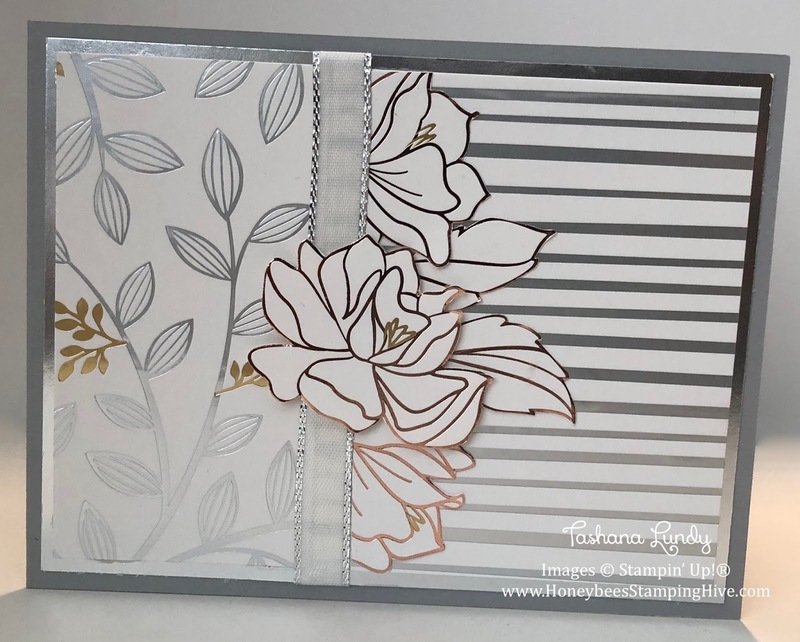 I simply cut out a few flowers from one sheet and placed them on the card on top of two other designs from the Springtime Foils SDSP. This card is so lovely in person. The card shines in more ways than one. We are more than half way through this month. Sale-A-Bration is almost over. Be sure to get your qualifying order in ASAP. I am here for you, if you need me.